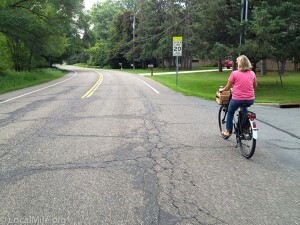 As you’ve likely guessed, I’m not a huge fan of bicycling in Vadnais Heights, at least compared to places like Shoreview that have relatively good and safe paths to ride on and much safer intersections. That said, I will nearly always ride my bicycle for trips of one or two miles like to Festival Foods or Target which is a fairly safe and enjoyable ride from my house. Having done so once, I will not cross 35E to get to Perkins or anything else on that side, it is simply too dangerous in my opinion. However, there are times when I quite enjoy riding in Vadnais Heights. Early on Saturday and Sunday mornings before there is much or any traffic on the roads is my favorite. 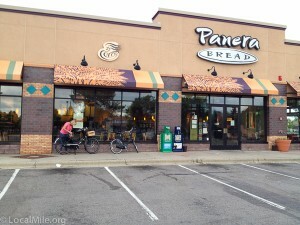 I enjoy riding to Dunn Bros for a cappuccino or sometimes my wife and I will ride to Panera for breakfast. 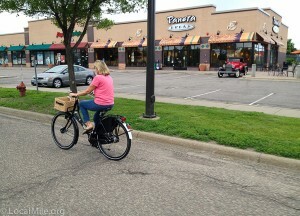 What’s great about our Dutch city bikes is that they’re easy to just hop on a go when we decide to do this. It’s not The Netherlands or Copenhagen, or even Shoreview, but it does make for a great way to start the day. Note: Updated 25 July, 2013 to correct some information about Vadnais’ 2011 Comprehensive Plan. Vadnais Heights comprises numerous island neighborhoods separated by Ramsey County roads with little or no planning for walking or bicycling. While some people are comfortable walking and bicycling outside of their neighborhood on busier roads with narrow shoulders, many, and perhaps most, are not. Many of those who do venture out also say that riding with traffic scares them and discourages them from riding very often. This is made worse in winter when many of these shoulders are not plowed or plowed inadequately for use by pedestrians or people riding bicycles. 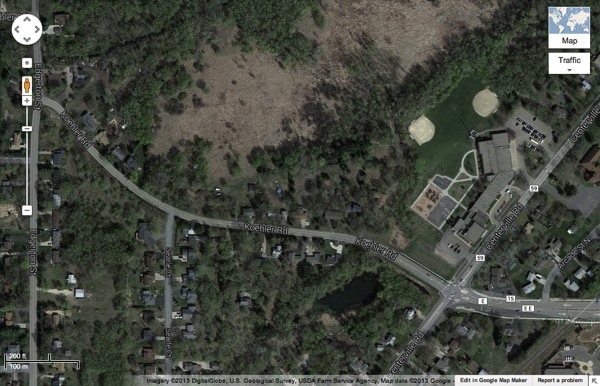 Vadnais Heights’ 2011 Comprehensive Plan acknowledges some deficiencies in its walking and bicycling infrastructure, but also indicates a lack of understanding of the difference between recreational trails and safe, functional bicycle and pedestrian infrastructure that allows it’s average citizens to safely walk or ride to local amenities. Instead of striving for segregated pathways and intersections that are safe and desirable by most people, the plan too often relies on road shoulders that are only comfortable for a minority of citizens, primarily the lycra crowd. Worse, the plan touts striped on-street parking lanes as effective bicycle lanes. These are actually quite dangerous for cyclists as they cause cyclists to swerve into traffic to dodge parked cars and put cyclists in the ‘door zone’ where many have been injured or killed by opening car doors. To their credit they have now installed “No Parking” signs on Arcade and Belland Avenues. This lack of safe bicycling and walking routes will not serve Vadnais Heights well as increasing numbers of people choose to walk and bike more often for transportation and to make home purchase decisions based on the pedestrian and cycle friendliness of communities. 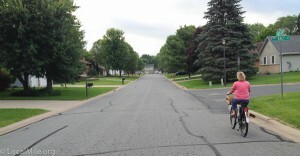 Every major road in Vadnais Heights should have, at a minimum, a wide, well designed, and well maintained path to allow residents to safely and comfortably walk and bike to local schools, shops and restaurants, or to visit friends. Every intersection should be safe and feel safe for pedestrians and people on bikes. Here are seven wishes for Vadnais Heights. 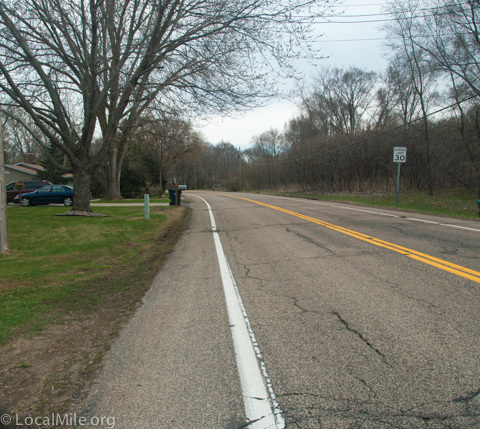 Ramsey County plans to reconstruct Hodgson Rd between approximately Rice St and Hiway 96. This project was originally planned for 2014 but will likely be done in 2015.